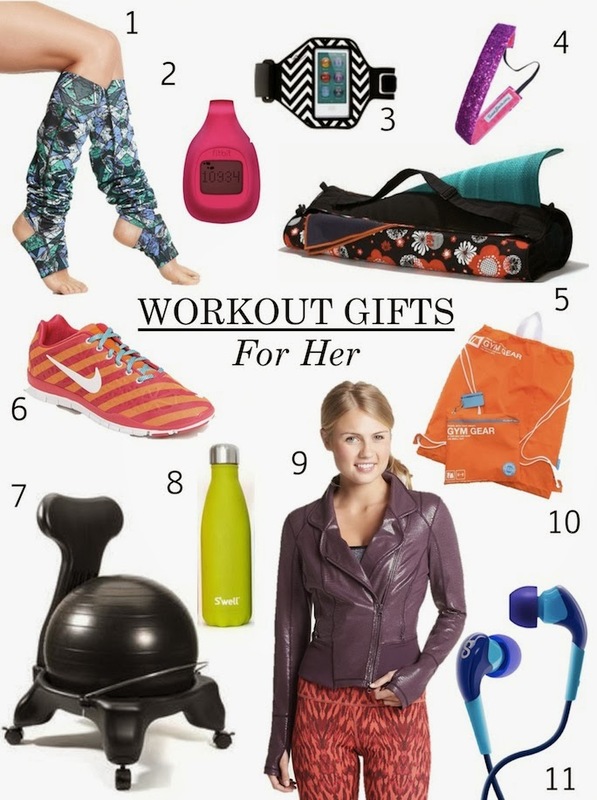 A Bit of Sass: Holiday Gift Guide: Fitness Gifts for Her! 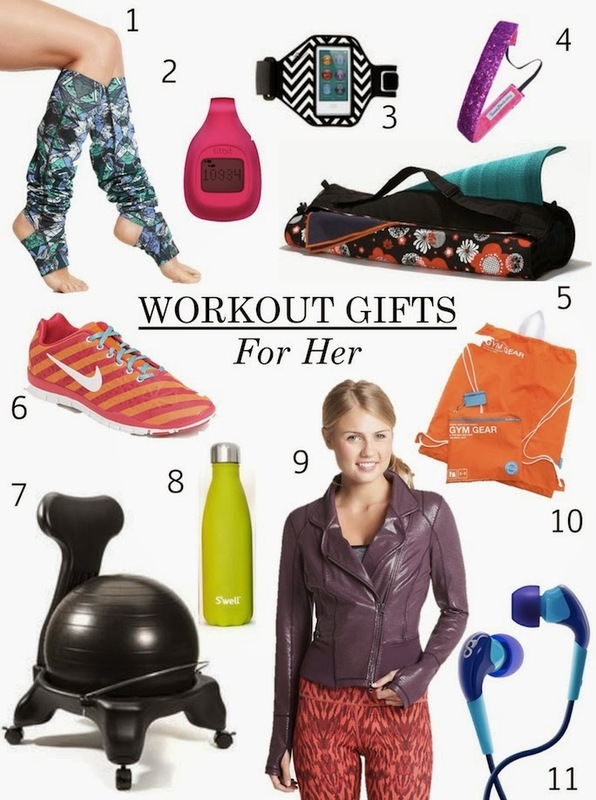 Holiday Gift Guide: Fitness Gifts for Her! Is it time for holiday gift guides already?! Well, I heard Christmas music playing in an elevator last weekend, so I guess it is! This year I'm starting off with gifts for exorcise lovers. Whether she's a yogi or a runner, there is something for every fitness fanatic on your list. 1. Karma legwarmers, $28: Flashdance flashback! Karma's legwarmers will make everyone in her barre burn class green with envy. 2. Fitbit Zip, $60: Ignorance is not bliss when it comes to losing weight. Fitbit helps track steps, distance and calories wireless lyto make shaping up easier! 3. Agent iPod Nano Armband, $15: Help her hold tech securely when working out, with this graphic black & white armband. Pair it with an iPod Nano to give her an even big smile when unwrapping. 5. Yogoco Yoga Mat bag, $89: Even zen masters want a little fun sometimes! Yogoco mat bags are eco friendly and have compartments for everything she may need on her way to practice her sun salutations. 6. Nike training sneaker, $67: Bold and bright, Nike's cross training shoe is both lightweight and supportive. 7. Gaiam balance ball chair, $80: Help her get her core strength in gear while sitting at her desk with a sleek looking balance ball chair. 8. Swell Water bottle, $35: Plastic water bottles are soooo passe. Swell makes toxin-free, stainless steal, insulating water bottles in a variety of colors. Great gifts for eco friendly gym goer's on your list. 9. Zella moto jacket, $108: Zella makes go-to workout clothing for the fit fashionista. I tried their laminated moto jacket on over this hooded shirt and they are both now on my personal wish list! 10. Flight 001 Clean Gym Gear Bag, $30: For the workout maven who goes to the gym before work, these cute bags will help her separate her clean and sweaty clothes for easy storage. Would be a great addition to give with a gym outfit. 11. TruEnergy Earbuds, starting at $19.95: Last but not least, TruEnergy headphones are designed specifically for active women. They come with 3 different earbud sizes, sharing features and a microphone and are the best headphones I've found when it comes to staying in place while jogging! All of my past gift guides including stocking stuffers for her and tech gifts for men can be found here. That jacket is so fantatsic!